The UFO Center’s announcement also included three notable “sightings” last week in Portugal,Alaska and Washington. In one of reports, a woman from Sitka, Alaska, said she heard a strange “ping” sound in her home last Wednesday and claimed her 4-year-old son witnessed a disc-shaped craft outside their home. The report came with a drawing made by her son of the alleged craft. 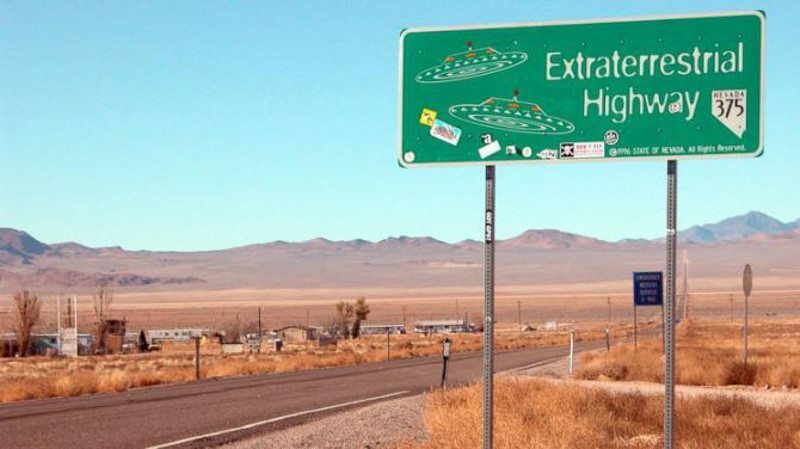 If you’re in the mood to go UFO hunting or if you just want to have an extraterrestrial experience, you may want to visit these 10 states with the highest number of UFO sightings since 1998, NUFORC director Peter Davenport told ABC News today. Disclaimer: The National UFO Reporting Center said it makes no claims as to the validity of the information in any of these reports. Most recent sighting: Ladera Ranch on March 22, 2015, at 9:35 p.m. Most recent sighting: Deltona on March 23, 2015, at 9:14 p.m. Most recent sighting: Everett on March 24, 2015, at 8:15 p.m. The witness claimed to have seen “two massive crafts, solid black in color” with orange lights in an inverted “V-shape” while on the phone with a sister. “I was alarmed and scared as this was close, just above the tree line and electrical power lines,” the witness said. Most recent sighting: College Station on March 25, 2015, at 8:30 p.m. The witness reported seeing a red and green orb moving at an “incredible speed” down Jupiter’s horizon through a telescope. Most recent sighting: Bronx, New York City, on March 22, 2015, at 10:00 p.m. The witness claimed seeing a spacecraft trying to abduct an airplane and hearing strange songs from the attic. Most recent sighting: Green Valley on March 23, 2015 at 8:30 p.m. Most recent sighting: Philadelphia on March 25, 2015, at 12:05 a.m. The witness reported seeing tightly grouped white lights in the east that vanished after 30 seconds. Most recent sighting: North Ridgefield on March 22, 2015, at 11:00 p.m. Most Recent Sighting: Vicksburg on March 24, 2015, at 10:30 p.m. The witness reported seeing a lit-up object in the sky that hovered, disappeared and reappeared in the same spot. Most recent sighting: Pfafftown on March 18, 2015, at 9:25 p.m.
“My friend and I were on my driveway behind my house and it was dark,” the witness said. The National UFO Reporting Center did not immediately respond to ABC News’ requests additional comment.